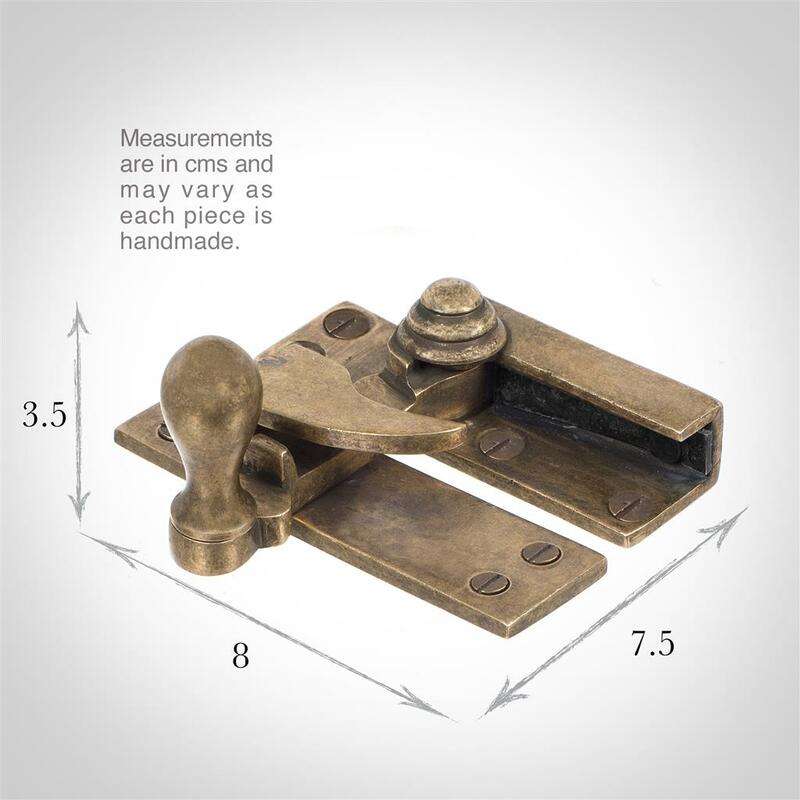 Secure your sash windows with our beautiful solid brass Quadrant Fastener from our collection of handcrafted door and window furniture. 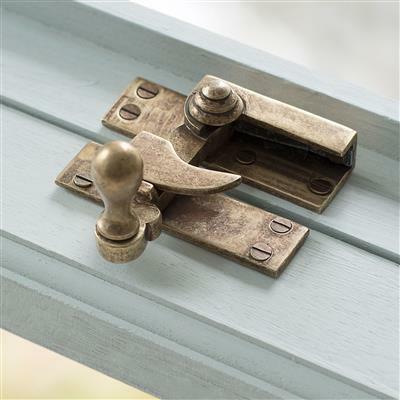 This traditional Jim Lawrence Quadrant Fastener has been lightly antiqued for a natural, aged look that will enhance the appearance of your window and sits as comfortably in a contemporary setting as it does a period one. Made here at our Suffolk workshop using traditional brass working techniques, the detail in the design highlights the skill of our craftsmen and their ability to create products that will stand the test of time and look good an any style home. If partnered with our matching Antiqued Brass lighting range or electrical accessories and door fittings, you can create a wonderful uniform look throughout your home. 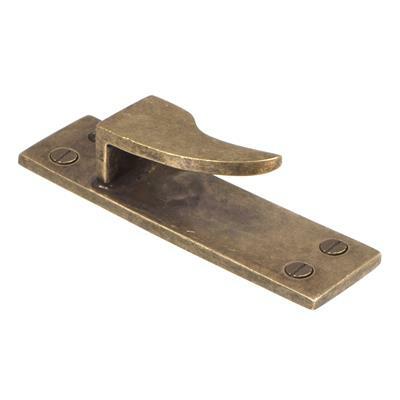 Antique Brass: A beautiful natural finish produced by distressing the brass to create a soft patina that is then treated with antiquing solution to speed up the natural tarnishing process and create a lovely aged look that will darken naturally over time. To lighten the brass just buff it occasionally with a small amount of brass cleaner to return it to its original hue. To find out more about our finishes and how best to maintain them, please read our product finish pages. 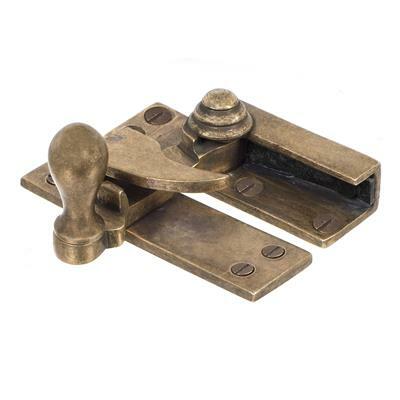 Our selection of left and right handed brass window latches and stays. For a uniform look, try pairing your window fittings with our Antiqued Brass door knobs & handles. We also do Antiqued Brass curtain poles to complete your window dressing.